Take a look at the top golfers in the Greater Metro Conference this season and you will find the name of Adam Garski one more time. Garski has earned all-conference honors for the third year in a row (a second-team selection and two first-team spots), finishing fourth (top five are first-team) in GMC action for the current season. 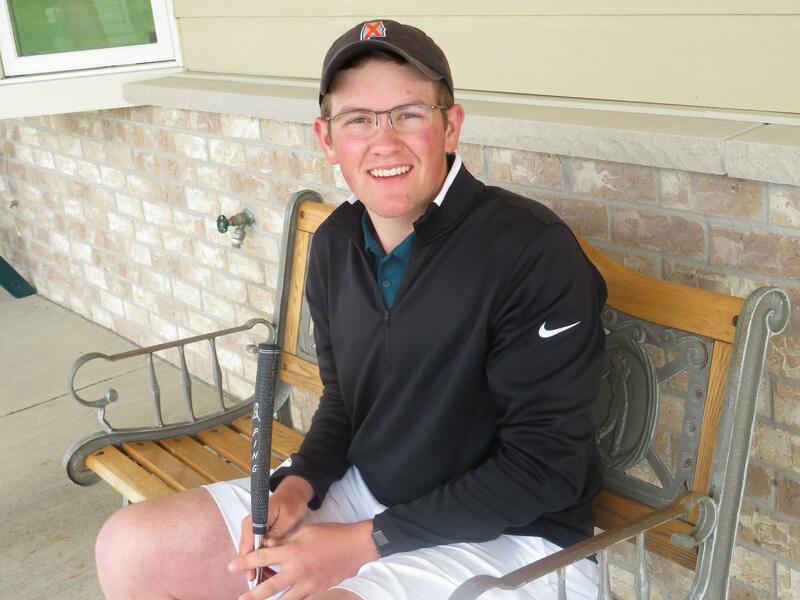 He shot a 68 and won the Homestead Sectional by 5 strokes and will go to the WIAA State Golf Championship on June 5-6 at University Ridge in Madison for the third straight season. Veteran Tosa coach John Ravenola has seen Adam's confidence grow the past three years. "I saw more determination," he said. "We played with Harrison Witt (Marquette senior and one of the state's top golfers) in the Junior PGA in the off-season. That helped him. At times he outplayed him. That helped him with his confidence. He has the same goals, only now he's better." Garski improved in his first two trips to state, tying for 40th as a freshman (161, 17 over par) and tying for 17th (152, 8 over par) last year. His success at state also helped him with his confidence. "It definitely boosted my confidence because I used to second-guess myself," the personable Garski said. "I would go into a tournament and look at other guys and say 'Ah, they're going to beat me.' Now knowing that I went to state, I would say 'I know I can beat that guy. I can beat that guy.'" Garski owes his start in golf to his grandfather, Chuck Brunau, who signed him up for lessons at Brown Deer when he was only 5 years old. "And ever since then, it's just taken off," Adam said. "I like the individualism of it. I was never a team sport guy - I like controlling my own destiny. I love being outdoors. I have the patience for it. My parents (Kevin & Kim) and my grandparents (Chuck & Joyce) could see from the start I had some natural talents for it. Having that as well helped." 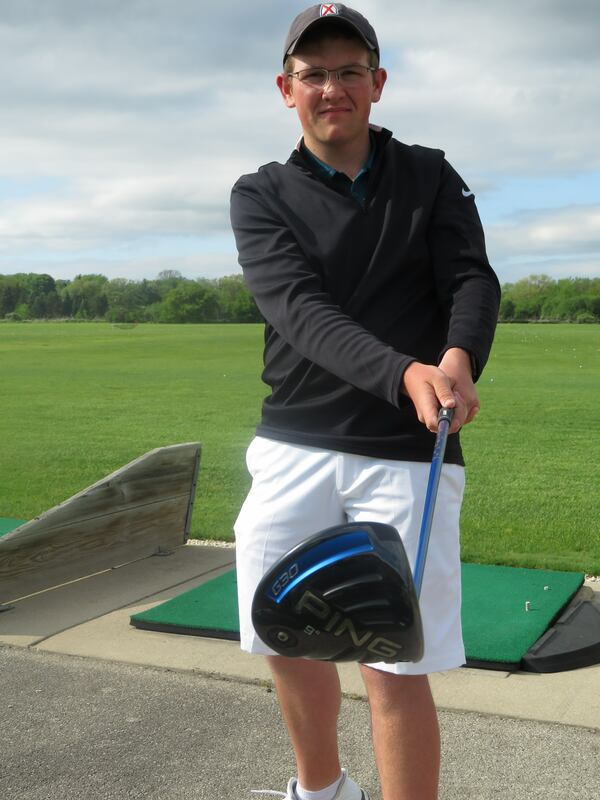 By Tom "Sky" Skibosh --- Adam Garski is putting Tosa golf back on the map. Garski, who attended Longfellow Middle School, would play with his parents and his grandfather, but the Junior Tournament events first exposed him to competitive golf. From 10-15 years of age he played on the Jr. PGA Tournament Tour throughout the state during the summer. Ravenola was not surprised by Garski's performance his freshman year. "I heard about him in middle school," he said. "We were told there was a good golfer there, so when he showed up as freshman he was everything they said he was going to be. He lives and breathes golf. "When he was in 7th grade, he actually showed up with his older sister (Nora) who was doing something in sports sign-up at Tosa East. He said he could have gone to Marquette, but wanted to go to Tosa East. "When I first saw him, he did not look like an athlete. He looked like he belonged in the science lab. But looks can be deceiving. It didn’t take long at all to see what he could do. You couldn't predict that." Garski wasn't surprised he immediately made the varsity. "I knew I was good enough to be on the varsity, but what I really got out of it was being exposed to the upper classmen. It made me be a little more mature - on the course and off the course in the classroom." - Coach John Ravenola on Adam Garski's early success. Garski recalled what it was like going to state his freshman year. "All the boys came out to watch me so that was really fun," he said. "It was really fun because I know I made it as an individual. There were only one or two others in the state who made it as a freshman." Being at state was different experience for the usually calm Garski. "I never get nervous on a golf course, but that first tee shot was nerve-wracking," he laughed. "My hands were shaking. I didn't hit it very well, but from there I played decent. My scores were pretty good for being a freshman I thought. "But your thoughts are to yourself. You aren't influenced by anyone else. The crowds are really respectful. You can't heckle or anything like that. That state pressure is like no other." Ravenola was asked about Garski's early success. "I was cautiously optimistic," he said. "When you’re a freshman people don't understand. At 14-15, it's hard to handle. But he had a good time with it and enjoyed the experience." What makes Garski so successful? "Definitely my short game," he said. "My short game saves me a lot. I work hard on my putting and my chipping. Getting up and down when you're in trouble. It just helps saves the round." "No question his short game," he said. "He gets up and down more than any high school player. He's not long off the tee. He's not (a big shooter) off the tee. But makes up for that by getting on the green and making that put." One thing that Garski wants to work on more is the mental part of his game. "I need to learn what I can do well and what I can't do well," he said. "I need to manage my mistakes a little better because some high numbers can come into play there. If I can think a little more when I'm on the course, I'm confident in my drives and my irons. I need to think a little more. "You need the talent but you definitely have to be mentally tough. Don't let mistakes get you too low or have good things get you too high. Those are the ones who can succeed because in golf, one shot can make it or break it. So you have to have a really strong mental game." Ravenola also talks about the mental part of the game in general with young players. "Course management can get better with any young player," he said. "Looking at the hole, deciding where you want to put the ball. That's a learning curve. It's a huge difference. When kids learn, they don’t make mistakes. There's no double bogies. Sometimes freshman try to whale at it, try to reach back to make up for it and they make things worst. "You can't fix things in the middle of the round. From a coaching standpoint, you welcome it (course management). After a number of years, you read the course and make the right adjustments." Photo by Tom "Sky" Skibosh --- Pictured with his driver, Adam Garski's short game is his strength. Garski has been a captain the past two years. "The main reason was his dedication to the game. He truly deserves to do well," Ravenola said. "He's what you want (in a captain). He's spot on. He thinks of everyone and that comes across. He doesn't look down at people because of his knowledge. He puts the time in to get the point across." Garski is happy with his leadership role. "One of the things with our team is we have a great chemistry. The guys aren't scared to come up to me to ask a question or I'm not afraid to go up to them and show them how to make it better." Garski is also excited about the team's future and the fact they have put Tosa golf back on the map by taking second in the tough GMC this year. "We're ecstatic. I don't think Tosa's had a team like this in a long time," he said. "What's great is we have 2 juniors, a sophomore and a freshman so we should be good for years to come. We've shown a few times when we're all on we can compete with the best teams in the state. Even when one of our guys isn't on, a couple others can pick him up." Which is typical of Garski, focusing on the team's success. WHAT DO YOU DO TO RELAX? Hang with his golf buddies. FAVORITE SPORTS RIVALRY: Marquette High School.